In our FIRST podcast episode we talk about what students should do before, during and after a dietetic internship open house (or any academic open house) to figure out if the program is a good fit and to make a good impression on the program director and other faculty. We talk about some things that students do (or don’t do) that can affect their chances of getting accepted to a programs- things that have nothing to do with your GPA or personal statement. 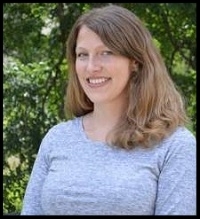 Hannah is currently a Clinical Assistant Professor in the Nutrition and Foods Program of the School of Family and Consumer Sciences at Texas State University. She completed a Bachelor of Arts in Biology at Smith College in Northampton, MA, a Master of Science in Biology at Florida International University in Miami, FL, and a Master of Science in Nutrition as well as the Dietetic Internship at Texas State. Her research has included an exploration of nutrient intakes in WIC-enrolled children and food security on college campuses. Her teaching includes introductory nutrition courses, Nutrition Assessment, Biochemical Nutrition, and Nutrition and Genetics. In the classroom, she emphasizes multiculturalism and active learning. In 2016, she received a Presidential Distinction Award for Excellence in Teaching, and was named runner up for Texas State’s Award for Excellence in Online Teaching. In addition to her work at Texas State, she maintains a private dietetics practice specializing in pregnancy and pediatric nutrition. Hannah is also part of the Diversify Dietetics community as a contributor of our Educators Workshops.